As hard as it can be to really nail comedy down, Tina Fey and Amy Poehler always seem to get it right. Their off-screen friendship creates a profound chemistry that makes them feel as though they may be actual sisters. And that’s what Sisters has going for it. While the jokes and comedic moments as a whole are rather un-spectacular, the sheer ability of these two lifts the film onto their backs for a majority of the runtime. Sisters is by no means a classic, but has its share of funny moments along the way. 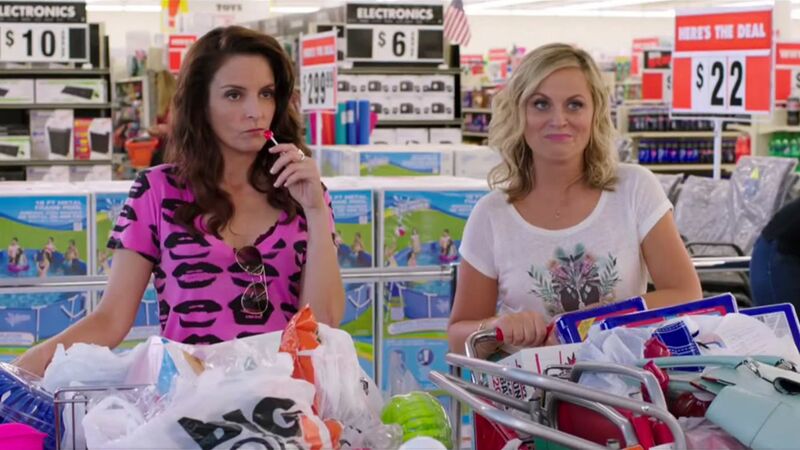 When siblings Maura (Amy Poehler) and Kate (Tina Fey) are asked to move all of their old junk out of their childhood bedroom, they begrudgingly oblige. To their shock, their parents have placed the family home on the market and sold it already. Unhappy with the news, the two sisters plan to throw one final bash to say goodbye to the house that gave them so many memories. Sisters is a complete flip of personas for the two leads. While Fey is usually the more put together and Poehler is perhaps crazier, but this time around Fey is the mess and Poehler is the uptight sibling. Surprisingly enough the two both feel very natural in these role reversals. The film is full of SNL cast members, past and present, and very much feels like that at times. Writing from a Saturday Night Live writer, Paula Pell, give the jokes a sketch type feel and perhaps would be just that if it weren’t for, what I would assume is, some improvising. Many jokes are centered around this collection of people being older and not the partying type anymore and it grows tiresome at times. While some bits hit really hard, others only manage to crack a smile. Beyond the two leads are a plethora of other actors that ooze comedic gold. Bobby Moynihan may just be the funniest character of the entire film as the unfunny guy that tries way too hard to be THE funny guy. It’s perfectly suited for Moynihan and he does truly steal each scene he is in. Maya Rudolph is another standout as the old rival from high school with her desperate, and unsuccessful, attempts to gain access to the party. With most comedies, there is some attempt to give the overall film some heart. Sure the relationship between the sisters is great and has development over the entire runtime. But everything else just falls flat. The dynamic between Kate and her daughter never feels real let alone work. And other parts just feel extremely out of place, particularly the Korean nail-salon worker repeatedly popping up for more of her backstory. So what did you think of Sisters? Have you seen it or were you too busy with that other little movie that came out last week? Share and Comment below and as always return back to I Am Sam for weekly reviews.